Thanks to its special door hinges, this upright freezer ensures a soft and precise door-closing performance while reassuring the door will not remain open unnoticed. 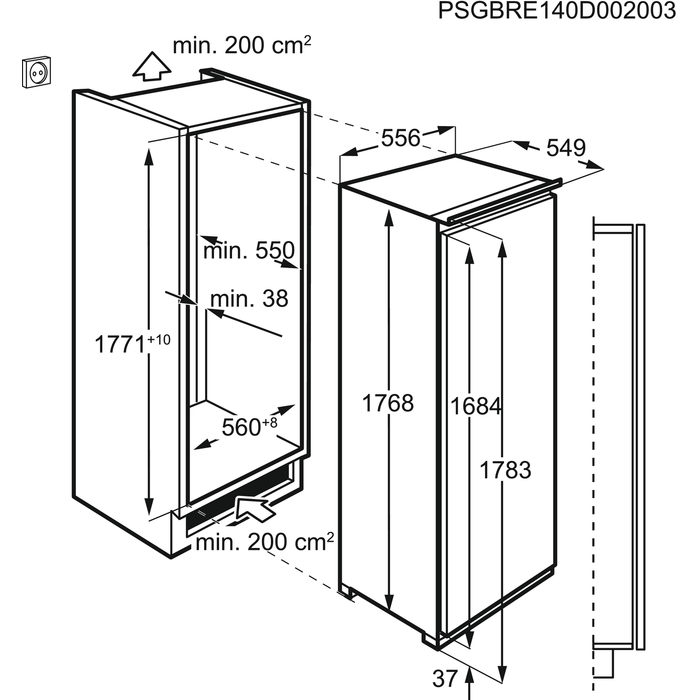 Door on door installation: Cupboard door can be mounted directly onto the appliance door, to give that integrated look. Easy to get on with does what it needs to do with no problems. Perfect for economy living in more ways than one! The drop drawer fronts at the top mean we really do use all the space efficiently. There is room to fill with home cooked meals in portions to ensure money saving options for lunch or eating alone. Great economy rating too.